Free Webinar "Automate your Author Marketing"
Every year in November, tens of thousands of would-be authors, publishing novices, seasoned veterans, and those who fall somewhere in the middle, come out of their writing caves – blinking into the light – to join the global furour that is NaNoWriMo (otherwise known as National Novel Writing Month). NaNoWriMo challenges writers to complete 50,000+ words of a novel in just 30 days. But the problem is… they don’t have to be “good” words. Meaning 99% of authors (and soon-to-be authors) will sit down and try to hammer out 50,000 words of “whatever comes into their heads”. Now, while I appreciate the goal of NaNoWriMo – and other writing events (getting people writing) – I believe there is a better way to write a book. Instead of just sitting down and “hoping for the best”, I always advocate having a plan of action. So for this article, I’ve enlisted the help of Joe Nassise (pic above) – a NYT Bestelling author of over 40 novels (in several languages – and with over 1m books in print) to share his process for writing like a speed demon, without sacrificing quality. This is all part of a process we call Story Engines. And in the meantime, let’s dig into the detail… (Note: we are switching between UK and US grammar and spelling now – so any grammar hounds out there, please keep it clean). For so many authors, the idea of writing a 50,000+ word novel in 30 days is enough to get them worked up into a frenzy of stress. And while writing a full draft in 30 days might seem like tall order, it is actually very doable if you approach the process from the right perspective and have all your ducks in a row before hand. To be certain that you do – have all your ducks in a row, that is – I’m going to walk you through the very process I would use if was intending to tackle a challenge like this. Am intending to use, in fact, because I’m going to be participating in NaNoWriMo again myself this year. But that doesn’t mean I’m going to be sitting around until then – this is a process you can use every day to get those words out. Before we dive into that process, though, let’s be clear on what we need to accomplish to reach our goal. To hit 50,000 words in 30 days, we need to write 1,667 words per day. Believe it or not, that’s pretty manageable. If you set aside and hour or two per day, you’ll be surprised how much you’re capable of [EDIT FROM NICK: A little FYI… This article is 2,500+ words long and it took Joe about 2 hours]. Doesn’t sound all that tough when you put it like that, now does it? You are going to know which words you need to write each day because you and I are going to figure all of that out ahead of time. When Nov 1st rolls around, you’re going to have your entire story planned out, using the “Story Engines” process we’re talking about in this article, and you’ll be set to hit the ground running with nary a worry. My process is simple and it involves seven specific steps. Each step moves you along the path and confirms the “rightness” of the step before it, so you don’t get halfway through the project only to realize you’ve taken a wrong turn somewhere. The process is designed to save you the time and effort needed for massive rewrites and to keep you moving briskly forward toward completion. You need to complete steps 1-5 before Nov 1st. Steps 6-7 are what keep you moving briskly forward once the challenge kicks off. Now, bear in mind – each of these 7 steps will involve building your story around a specific story structure. That is, making sure your book consists of “the right scenes in the right order”, to give your story the right pacing and impact (to keep readers hooked). We’ll talk about that more in steps 4-5. This sounds almost elementary, but I can’t tell you how many times I’ve worked with a student who really doesn’t know what they are writing about. It’s damn hard to write 50,000 words on a given subject if you don’t really know what that subject is. The first thing you need to do is figure out what you want to write about. Don’t get fancy, just generalize. Maybe you want to write a novel about the discovery of a lost continent. Or one about a kid growing up in the Wild West. Or perhaps the story of a princess who has a terminal illness and the prince who valiantly tries to save her. You get the gist. It can, quite literally, be anything as long as it is interesting to you and captures your enthusiasm. Without that, you’re going to have a hard time keeping focused. In this step, we take the general idea you came up with in step one and give it specifics. When done properly it should tell you who the main character or hero of the story is, what they must do to win the day, and both the nature of the opposition and the stakes at risk if they fail. For example – The Heretic is about a modern Templar knight who must retrieve an ancient artifact from a powerful necromancer before it can be used to create a literal hell on earth. See? We’re turning the “idea” into something more fully fledged by adding characters, goals, opposition, and stakes. Introducing the opposition and stakes also brings conflict into your story – which is incredibly important (without conflict, the story is dull). And fun fact: you can use your premise to write your book description or “blurb” later. Now that you have your premise, you know who your hero and your villain are. It time to flesh them out a bit, to bring them to live in your mind so you can figure out what the story you intend to tell about them will be. It is key to remember that stories are about conflict. Without it, you’ve got nothing more than a slice of life. In order to have conflict, the goals of your hero and your villain need to be diametrically opposed to each other. Let me say that again – the goals of your hero and your villain need to be diametrically opposed to each other. The act of creating your premise and detailing your characters will no doubt get the creative juices flowing. You’re probably already seeing individual scenes in your head featuring these characters. That’s good – that’s exactly what we want. Without editing yourself in any way, start writing down those scenes. I tend to use a set of index cards and just jot down whatever comes to mind, one scene per card. They don’t have to be too detailed; the idea here is to just capture the scene so that you don’t forget it. Every scene I envision goes down on a card. Doesn’t matter if I know where it fits in the story yet or even if it sounds utterly ridiculous at the moment – if it comes to me, I write it down. I’m basically doing an uncensored imagination dump, just letting my subconscious throw stuff up to the surface and getting it down on paper (note: you can write these down on actual “cards” or use software, like Scrivener). The Preparation Phase (introducing the characters, setting, and creating a connection with readers). Here, you get a glimpse into the “daily life” of your hero or heroine – making them more relatable and helping to establish an emotional connection. Game Changing Moment (GCM) 1: The “event” that forces the hero or heroine out of their “daily life” and pushes them into reacting. Eg “Luke Skywalker’s family is killed”. The Reactive Phase: The protagonist “reacts” to events, rather than directing them. Think about the movie Se7en – this is the phase where the detectives are “running around like a chicken with its head cut off”. GCM 2: A second event that pushes the protagonist into a more active role. Think “the killer leaves a vital clue” or “the lovers share their first kiss”. The stakes are raised. The Proactive Phase: the hero or heroine now takes control (as opposed to in the reactive phase) and gets closer to their goal. GCM 3: The final game changing moment. Here the hero or heroine finds what they need to finally meet their goal and overcome the main conflict of the story. This progression of “story elements” is what binds your story together. With the right structure, you avoid “the muddy middle”, and you can anticipate which scenes need to go where, and which ones might not even fit in your story (eg – you can cut them out). In the end, I will have a card for each scene in the proper order of their appearance in the story. I will be able to see if my story is balanced and containing the right elements by comparing my cards with the 7 key elements of the Story Engines system. And, more importantly, I will know exactly what to write when during my thirty day deadline because my novel will be completely mapped out from start to finish. And if you’re more of a “pantser” (eg – you write “by the seat of your pants”) that’s okay too. You might just choose to include a little less detail for each scene or use “roadsigns” instead of a full-blown map and GPS system. With all of my planning out of the way, I’m ready to start writing my first draft. I know what the story is about. I’ve got a good sense of my characters and what they want. I know why they will end up in conflict with each other and how that conflict will resolve. I even know what happens in each scene. In short, I have everything I need to get underway. Writing for me is a question of focusing, so I use another system called sprinting to get my words done each day. I set a timer for 25 minutes and write during that time. No distractions with research or checking details or playing on social media – I just write. Just raw production without worrying about how good it sounds or if I could have said something better. Editing is for later; this part of my process is just for getting words down on paper. When the 25 minutes are up and my timer dings, I get up and do something else for five or ten minutes. Give my brain a break. Then it back at it for another sprint of twenty-five minutes and so on. I try to four to six sprints a day if I can manage it. I average anywhere from 500 to 1500 words per sprint – depends on how my day is going, how focused I can remain throughout, etc. You’ll have your own rate, perhaps better, perhaps worse than mine. It isn’t a race, so no need to compare yourself to my pace. Just set your own and stick to it. Once the draft is done, I print it out, stick it in a three ring binder, and settle in to start the editing process (printing it out helps me see mistakes I wouldn’t see on the computer screen. Your ear is a far better gauge of how well you’ve written than your eyes are (because your eyes see what you think you wrote, rather than what you actually wrote), so I settle in with a pen for note taking and start reading my manuscript aloud to myself. I listen for clunky phrasing, poor descriptions, place where things just don’t make sense, etc. I’ll make notes right on the manuscript, reminding myself what needs to be done where to bring the work up to the standard that I have set for myself. The Story Engines process is all about planning your story out ahead of time and so I rarely have to do any major rewrites because I already know that the story works as I’ve planned it out. That doesn’t mean I’m not cleaning up the manuscript; my first drafts are as crappy as anyone else’s. But it does mean that I’m not throwing away 30% of my draft because I didn’t understand the essential conflict in the novel or I wandered down a bunny trail that had nothing to do with the main plot. With my editing notes right there in the binder next to me, I sit down and begin the final step of my process – polishing the manuscript. I’ll correct the errors, clean up the clunky phrasing, add details where needed, all the little things that take a rough draft and turn it into a clean, readable manuscript. So, that’s seven steps, each with a specific goal and each moving your novel project further in the direction of completion. By the time you are done, not only will you have a completed draft, but you’ll know holds together like a finely-tuned machine and will take your readers on an emotional journey that will keep them coming back for more. 99% of story problems are down to structure. Use the seven-stage Story Engines structure above to keep your story pacing along, with the right action beats, in the right order. When preparing your book, come up with a few “ideas”. Use the formula I shared with you to turn these ideas into premises – and those that hold up to scrutiny are good to go. Next, brainstorm some scenes – just a headline and a few brief bullets – and arrange them in the correct order (using the Story Engines structure). When each of your phases has enough scenes, you can move on to writing. When you write the book, try “sprinting” to improve your speed and focus. Save research for later. Don’t edit as you write. Carve out parts of the day just for writing. Finally, go back and re-write those parts that need a little tweak, edit up the grammar and spelling, and you are good to go with a manuscript that’s ready to be sent off for final edits and proofing, and – shortly afterwards – publication. 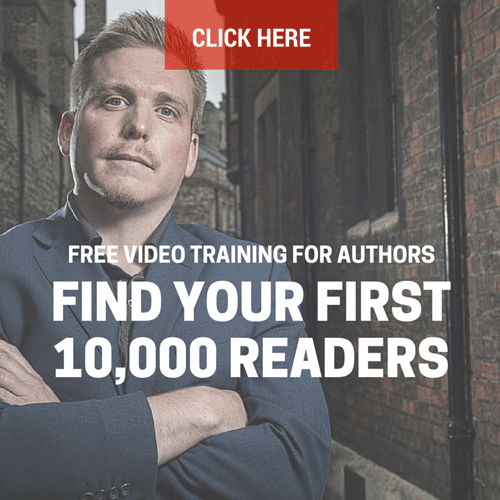 If you’d like to learn more about the Story Engines process – including the structure of a blockbuster novel and the seven-step process to write your novel in 30 days – check out our free video training series. We’ve got 90 minutes of awesomeness all lined up for you – and by the time you’ve completed the free material, you’ll have a solid blueprint ready to rock (and help you get your first – or next – book written in record time). 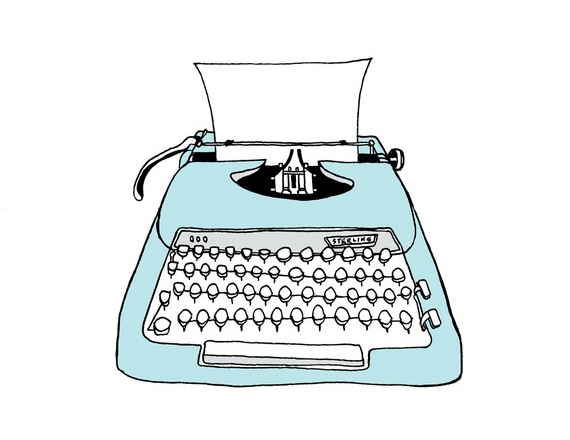 Now, I need to hear from you… What’s your #1 struggle when it comes to writing your books? Do you get stuck in “the muddy middle”? Do you give up half-way through when you realise something “just doesn’t work”? Do you struggle to find the time? Let me know your #1 struggle with writing your books in the comments below – I read every single one. That’s a good problem to have, and there’s actually a relatively easy answer to your problem. Whenever your characters hit the fork in the road, and you’re not sure which direction to choose, choose the one that will generate the most difficulty for your characters. This will keep the tension and the stakes high throughout and will keep your readers engaged with the story. Lack of oomph with your “why” typically means your stakes aren’t strong enough, Travis. Focus on giving the stakes specific relevance to your characters to drive them deeper into the story. My biggest problem is finding enough time so i can give my 1/3 finished novel the attention he deserves. If i had uninterrupted time for even 30 days I know i will finish the first major draft of the novel. But financial commitments to survive first and then get my story told is a mega distraction and annoyance. Thanks for the preview of the Seven Steps. Even though there’s an “I knew that!” in my mind, the steps organize my thinking and my story much better than if I were trying to do it otherwise. I’ll be there Saturday with bells on. Glad to hear it was helpful, Rosanne! Time is my biggest issue. Like Joe I’ve had to write late at night. Even so I’m my own worst enemy- always critical of my words to the point where I grind to a stop or at least a slow crawl. This just adds to the time shortage. That’s one of the reasons I never edit anything until I am done with the first draft, Kurt. I vomit it all out on paper first, to see the story in its entirety, and only then do I go back and start editing, polishing, etc. I think my biggest hurdle is working out the details. Coming up with general concepts and milestones is easy, but figuring out what scenes need to happen to get from one milestone to the next, let alone how to make those scenes play out in the right way to get where you need it to go, that’s where I always get tripped up. C – Understanding story structure and applying that understanding to your work in progress will go a long way to helping with that issue. Not much I can help you with on that end, Alyson. You need to learn to trust your writing instincts and let go! I give myself a specific timeframe for research, Anna, and then I start writing no matter what. I write a World War I series and my research could literally be endless as I love to learn about that time period and the exact details of each conflict. By setting a specific deadline (two weeks for research, for example) I keep myself from going down the rabbit hole. 90% of what you think you need you never end up using anyway. Will see you there, Bob! Great article. My biggest struggle? The muddle in the middle! Getting 30,000 words in and finding my premise isn’t holding up, or my characters are going in circles. Maddening. Marie – this is the primary reason why I am an advocate of mapping out your entire story ahead of time. If you do, you tend to avoid the massive rewrites you are talking about because you know that the story will work – at least from a structural standpoint – before you write word one. #1 Struggle while writing a novel is that, I have the plot, I know the story and everything but I struggle at writing the fillers and if suppose I want to write a chapter, then what fillers to write in that chapter. That’s it, these are stopping me from completing my novel. Lovely, simplified explanation of the process – thanks! My biggest struggle is probably the psychological mayhem that comes about midway through the book. Even with my plan in place, I inevitably start to question the quality of the plot & lose all objectivity, getting stuck in a “woe is me!” wallow. Any advice for curing writer’s slump? Looking forward to the Webinar! Mex – what, exactly, is it that your are questioning? Whenever I get to the 30% point in any novel (and I’ve written over 40 so far!) I absolutely hate what I’ve done. It’s a natural part of the process to do so. But I also know that when I reach the 50% point, I start to like the book again. All I need to do is grit my teeth and keep going and my natural pessimist seems to take a back seat. Sorry, typo – that should have said Mez. Great article I use something similar to outline the plot, the twists. the characters, who they are what they like etc. I jot down plot ideas as they occur to me then reorder them by cut & paste. I also keep a running plot detail record so I know what happened & when. Greatest challenge? Finding time and not getting distracted by social media, email, life, research etc. Catherine – Focus can certainly be a difficult problem. The springing method I mentioned in the article can be a good way to combat this. Assigning small rewards to give yourself after meeting your word count for the session/day can also help. Glad the article was helpful, Amy! Novel length has changed so much in recent years that I’m not sure there is an exact answer to your question. A commercial genre novel typically runs about 80-85k words right now, so you’re last book was right on target. Independently published books can get away with being shorter – 50-70K seems to be about average for many self-published writers these days. Working through a story structure process like the one outlined in this article (and in much greater detail in the Story Engines course) will help you figure out how to build your story one step at a time and to be sure that it flows in a logical manner. Good for you, Lilith! Knowing where you are going makes the writing process so much easier. I write romance and women’s fiction. Could you tell me whereabouts in the 7 steps the moment that I’ve heard called ‘dark night of the soul’, ‘all is lost’ moment. ie the scene were the couple are parted, mainly due to their own actions and it seems will never get it together comes in? I imagine it would be between the proactive phase and the GCM3. Is this about right? Thanks. Jacqueline – it is usually just before GCM#3, which reveals to the hero the information they need to take on the opposition one final time. Lately I’ve been struggling with how to stay motivated when I don’t see great sales. A lot of the strategies you talk about don’t work because I’m not indie (I’ve published with 2 different small publishers, focusing on ebooks), but when my novel has sold 69 copies since May, and the Amazon rankings are steadily dropping, I sometimes wonder if I’m deluding myself into thinking my career will ever take off. Jenna – Not sure I’m following you You say that “a lot of the strategies I talk about don’t work because you aren’t indie.” What strategies are you referring to? Those I included in the article are all relative to writing and that’s something that both indie and trad writers have to deal with. As for help with motivation, I would dive into Steven Pressfield’s excellent book, The War of Art. I’m not sure you will be able to help with my #1 problem. It is battling the pain and fatigue to get something coherent on the page. I suffer from fibromyalgia and it is sooo hard to follow a plot and layer in subtext when you are in too much pain to think straight. And unfortunately, most remedies either don’t work or make me even more sleepy! Other than trying to schedule my writing time for the “best” part of my day, I am at a loss. Suggestions welcome, especially from anyone else dealing with chronic pain. Thanks, Joe. Happy to hear advice from someone who “gets it.” I think trying to capitalize on my good days is a good idea. I usually use those to catch up on housework. I struggle with dictation. But maybe I can get used to it. It’s worth trying. I outlined and wrote my first short story (12 pages). As I was writing my story it became a different story then what I outlined. Original characters took a back seat to new characters and scenes. I like the finished product, but how do you stay true to your original story after you’ve spent so much time organizing it? it’s as if the muse has a mind of its own. The following was not simple for me. I am outlining a book from the Oregon Files series. From that I hope to learn the techniques of fiction writing. That is my biggest hurdle not knowing what I need to know? Open to suggestion(s) you may have. Ronald – your message seems incomplete. The course said to do…what? It’s missing so I can’t offer any advice about it. My biggest problem with writing my current book, 3rd in a series, is that I can’t imagine my main character in the role that I want to cast her into. I don’t know how to take her from a paid companion to the Lady of the Manor. Does this make sense? Perfect. But try this. If you are having trouble with the transition, imagine how much trouble your character is having adapting to her new role! Make it part of the story. Put your struggle on the page. It’s worth a shot, at least. Ok. great idea, I will try that. Great information! It looks like finding time to write is a common problem. I’m in the same boat. I have one novel under my belt, but the second one is a slow process. I too have the full-time job so I write late in the night. Thank you for the seven-step process. I’m going to use it when I write the third book in the series. I think it will keep me more on task and focused. Good for you, Tracy! Good luck! Johnny, I translated your comment. Your story is in your comment. A good story has conflict and your comment has a lot of that. If you follow Joe’s structure and build a character around those motivations and conflicts, you would have a great story. It could be therapeutic for you, too. A family in Korea, love for America, never seeing your loved ones, suffering from depression, going hungry–great stuff for a story. We are all suffering from something. I wish you the best. Hey! I’ve had an interesting life as a popstar and my biggest struggle today is that if I write a book about my adventures and also my bandmembers, show pictures of us etc, do I have to ask them a permission before my autobiographical book release and pay them royalties or not? Please let me know what do you recommend. If you are writing about true events that you experienced, no, you do not need permission to include those that were there. Nor do you need to pay them royalties. You might bear in mind that you can be sued as a result if the information is detrimental to any of those present. Making it resemble the original is a recipe for disaster, Kelly. Steer clear and come up with your own project. Following on from the Amazing webinar I did have one question – with regards to the three game changing moments in the 7 phase structure, are they always contained into a single scene or can they span several scenes. Jon – they usually are, but if you can pull it off across multiple scenes without disrupting the flow of the story, there isn’t any rule against it. Joe, are you limiting the number of spaces for the advanced option of the story engines course? At the moment, no, Charlotte. My #1 problem is age. I feel the pressure of the time constraint. I spent more money than I made on the first book which I can at least say is published, but it took me a year and $1,000 to edit, promote and design. I’m writing my second one now. This article is a HUGE help. I want to believe that I can pop out books within months, not years and that they will sell. Joe, Thoroughly enjoyed the presentation today. (10/14/17) Thanks! Would you mind telling us again your great advice concerning not scrapping one’s first draft and finding the phases in the draft…( I wrote notes as fast as I could while you were speaking… But didn’t get it all. ) Loved your encouragement and tenacity of holding on to that messy first draft! Thank you sooooooo much! Darn, I missed it. I need to be better at double checking the time zone….EDT is not me….so I’ll hope you offer another chance at this webinar, I’m sure it was great for all of you who are better at time conversions!! This is a definite for me BUT only after the other 3 courses (each differently specific) I already own and am working through. I’ll catch you guys next time around. Thanks for the great information (and entertainment). Ess – A scene is a single unit of action. Your characters come on the “stage” of the story at a specific time and place and one action occurs. The minutes you change the location, the time, or the point of view, you have changed to a new scene. Thanks Joe!!! Have gleaned a lot of info from reading your answers to these questions. Thanks for taking the time to answer my questions as well learning from all the other answers to everyone’s questions! I have never written fiction (I’m a published nonfiction author) but writing a novel has been a dream of late. However, I’m a bit hesitant about enrolling on the SE course as I’m not fully convinced it’ll take a newbie like me from blank page to a bestselling novel in 60 days. Do you really think I could pull this off? I’ll wait for your reply before I decide to enroll/not enroll. Really sorry I couldn’t make the webinar – didn’t check email till too late!!! Just wondered if there was a replay recording by any chance???? Nick, I received your email where you said, “If you weren’t able to come live, or if you didn’t get your questions answered, please leave a comment on the blog right here and we’ll get back to you ASAP.” I really wanted to be present for it but was unable. If I just look at the slides will I get the main information from the webinar? Is there some kind of accountability group that you guys are offering for the NaNoWriMo? I wanted to sign up for the Story Engines course and I’m getting a Kaspersky web page warning of “Phising” on all of the order links. Is there another cleaner / safer link to order on for full payment? Frank – If you haven’t solved the issue yet, you can email support@yourfirst10kreaders.com and they should be able to help you out. Joe, this is a wonderful article and extremely helpful. I created for myself an infographic of the seven specific steps and hung it up on the wall, along with the 7 Stages of any Great Story. I can read, but then it flies outta my head, never to be seen again! Thank you for going into so much detail and giving us a concrete plan to follow! Get exposure to our audience of 70,000+ authors – submit a guest-post request right here.